This week’s album reviews include releases from 3 Pill Morning, Carnal Tomb, The Foreshadowing, Old Graves, Pantopticon and Ringworm. The ratings are on a 5 star scale. 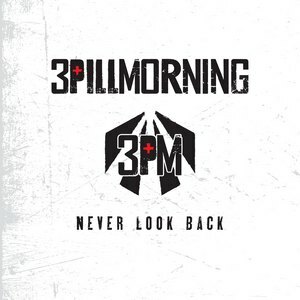 3 Pill Morning avoid the dreaded sophomore slump on their second album Never Look Back. They play earnest hard rock with singalong choruses and big hooks and a few more aggressive moments. There are some really catchy songs on the album with plenty of radio appeal such as “Escape” and “Bottom Of The Barrel.” They also change things up with ballads such as “Vultures.” There’s a lot of uniformity in this genre, but 3 Pill Morning have the chops and the songs to blaze their own trail. 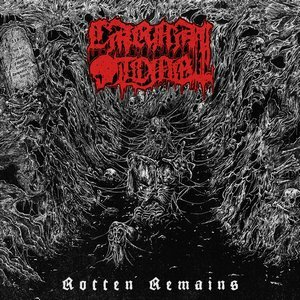 With pseudonyms like Corpse Ripper and Lobomomizer and song titles such as “Repulsive Mutilation” and “Cycle Of Horror,” you know what to expect from Carnal Tomb‘s Rotten Remains. The Germans deliver old school death metal on their full-length debut. Galloping riffs and brisk tempos give away to slow, crushing death metal. They do a nice job of mixing dense brutality with more accessible grooves. There’s not a lot of originality here, but it is well-executed and has a reasonable amount of variety. 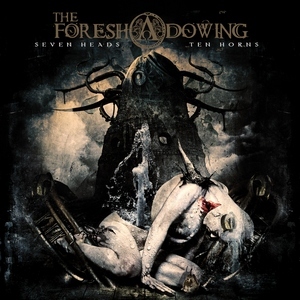 It has been more than four years since we’ve heard from the Italian band The Foreshadowing, who return with Seven Heads Ten Horns, their fourth studio effort. The somber album features melodic songs with a gothic flair and plenty of atmosphere. Some tracks are pretty mellow, while others add more doom influences. They keep the tempo moving, giving the album nice forward momentum. Marco Beneveto’s baritone vocals add the melancholy vibe needed for gothic doom. It’s a little long at 55 minutes, but the 14 minute closer “Nimrod” is compelling. 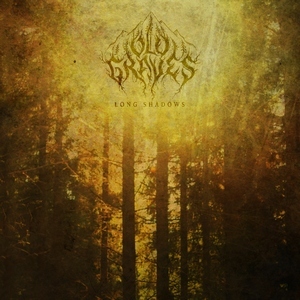 Vancouver, British Columbia’s Old Graves, a one-man project masterminded by Colby Hink, have released a couple of EPs and a split, but Long Shadows is their debut full-length. The songs are dynamic atmospheric black metal with a lot of ebbs and flows. Mellow acoustic and ambient parts give way to dense black metal before easing up again. The periodic tortured vocals are deep in the mix, with lengthy instrumental sections making up most of the album. Each track gets a lot of time to develop and progress, and it’s a diverse effort. Austin Lunn’s Panopticon have been critical favorites, especially their last couple of albums. On Revisions Of The Past, their 2010 album On The Subject Of Mortality and 2011’s Social Disservices get the reissue treatment. The albums have been reworked and remixed by Spenser Morris and remastered by Colin Marsten to match the sound Lunn originally intended. He admits that at the time of the recordings he had very little equipment and a lack of recording knowledge. Longtime fans will be interested in hearing the how this version sounds compared to the original, and it’s a chance for newer Panopticon fans to discover a couple of really good albums. Cleveland crushers Ringworm bring the noise and the pain on their latest album Snake Church. Blazing through the dozen tracks in just over a half hour, they deliver aggressive guitars and passionate vocals from the Human Furnace. While the dual guitars of Mark Witherspoon and Matt Sorg are impressive, the rhythm section of Ed Stephens and Ryan Stiegerwald are especially potent on this album. Ringworm have been around for a quarter century now, and their fury shows no signs of abating any time soon.